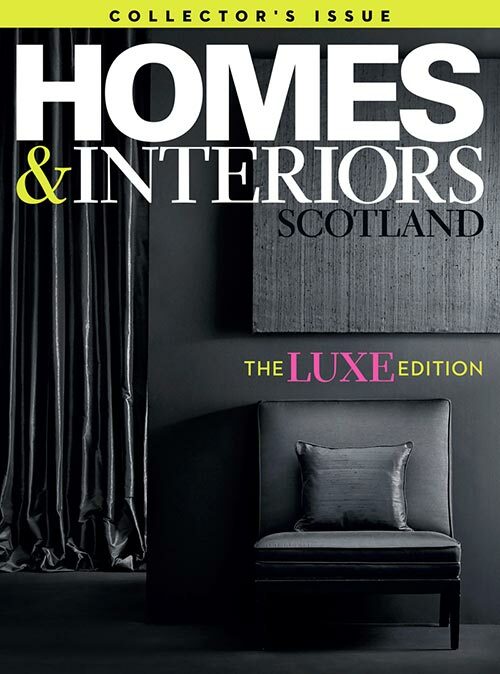 In 2015, when Steph and Ryan Lothian took on Williamstone Farm Steadings, close to North Berwick, the property had scarcely been touched for nearly 35 years. Not so long ago, it had been an extensive working farm owned and run by a local woman named Stella Moffat; but, as she aged, she began selling off fields to neighbouring farms and the place became increasingly run-down. “She was a bit of a character, by all accounts – a cigars-and-whisky kind of woman,” says Steph Lothian. Alongside the farmhouse, which was to be the family’s home, three distinct spaces were created from the outbuildings. 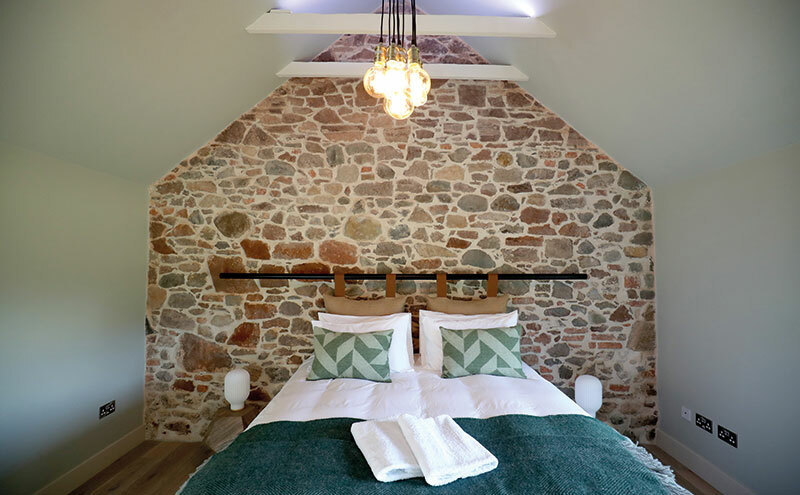 These, named the Bothy, the Byre and the Barn, each have three bedrooms and a kitchen, and have been designed for self-catering guests. The couple and their architect looked to the buildings as a guide on how to strike a balance between the heritage of the site and the desire to create something distinctive. 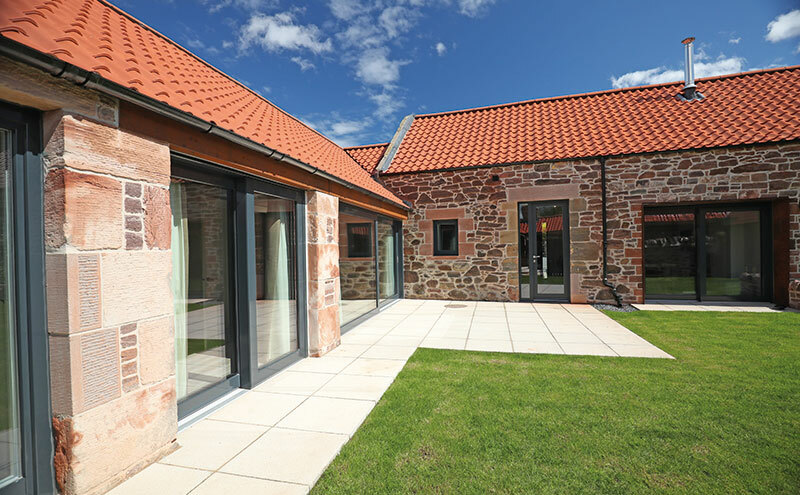 The Lothians knew that they wanted something contemporary and, from what they had seen in Bell Manson’s project portfolio, were confident that she would be able to connect the historic elements of the buildings with a more modern scheme. The architect was equally keen to respect the local vernacular and to work with whatever could be salvaged of the ruined buildings. 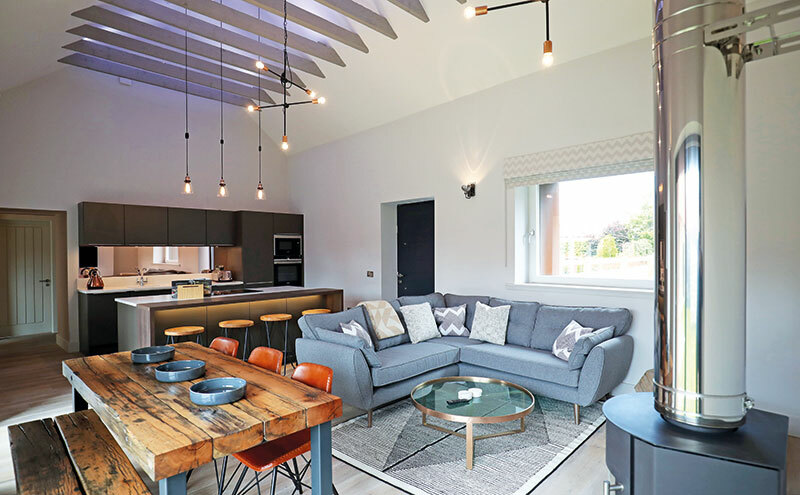 “Our aim was to create a progressive and contemporary conversion project that was very different to its nearby counterparts,” she explains. 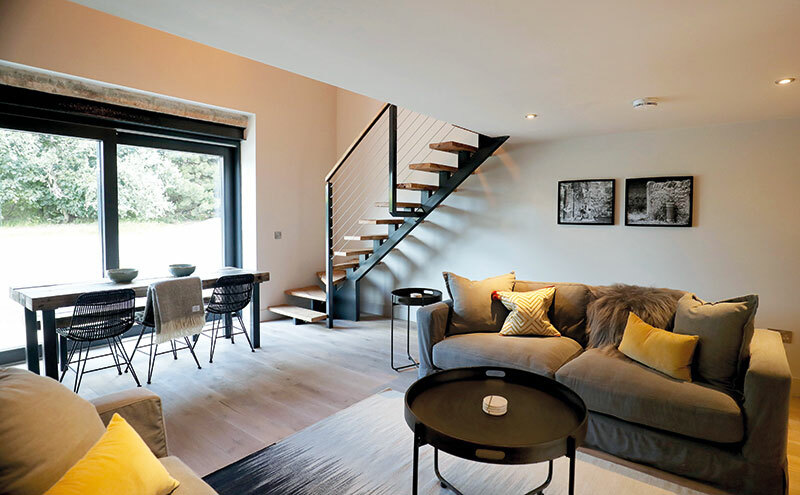 “We took a design-led approach, with the intention of defining the original fabric of the steadings; any new alterations were sympathetically applied to minimise the impact on the listed buildings. The most sensitive way to do this turned out to be by adding a glazed corridor, which links the spaces but does not detract from the original stonework or pantile roof. 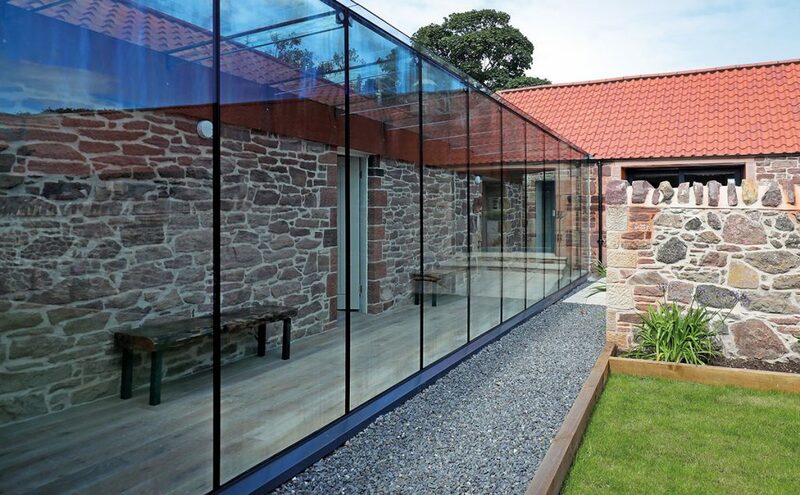 Thanks to a frameless glass roof, the corridor by GlassRooms Liverpool disappears into the eaves of the Bothy, without obscuring its façade, blocking the light or diminishing the impact of the restored exterior. 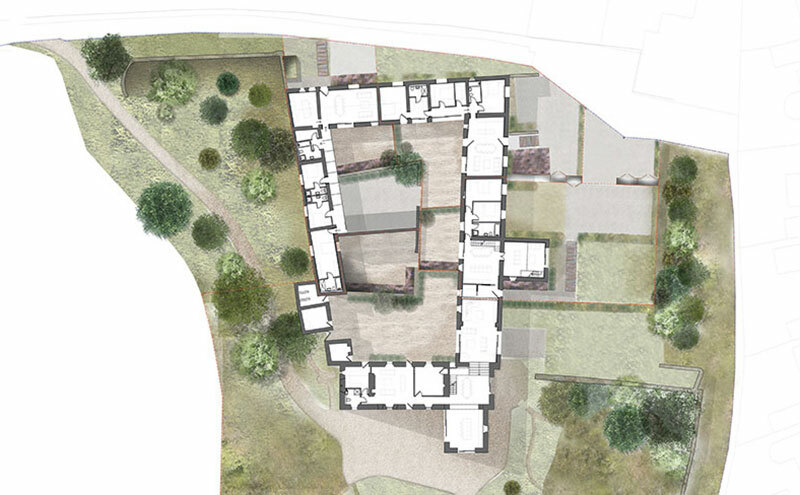 It’s a smart means of increasing the footprint without eating up too much of the courtyard, while at the same time reflecting the contemporary nature of the new arrangement. This framing helps to distinguish the existing openings from the new ones, shows off the thickness of the stone walls and serves as a link with the palette of exposed red sand-stone and traditional roof tiles. Here, the existing openings have been glazed in keeping with the new ones to maintain the buildings’ thermal line and to highlight the contemporary sleeve that is layered behind the existing stone. 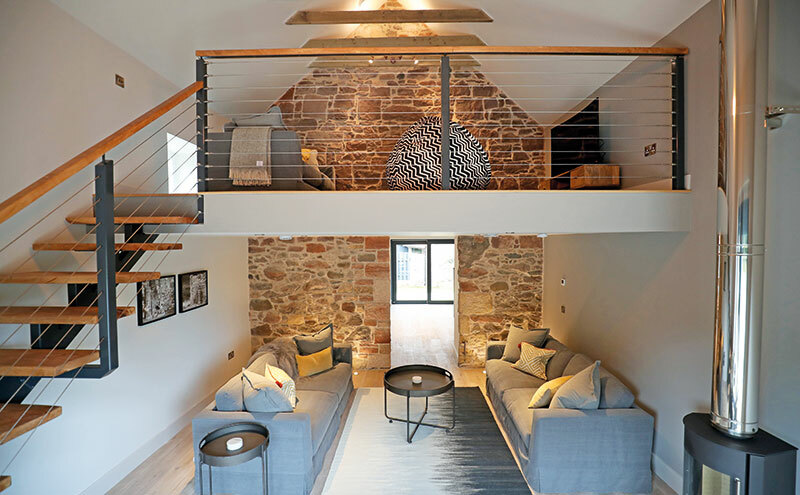 The interiors of the Byre, Bothy and Barn are deliberately different so each has a clear identity, but they also have features in common, such as exposed beams, vaulted ceilings and bare internal stonework. Lothian pushed for a pared-back and fresh feel, even while referencing the farm’s roots. In the Barn, for example, a mezzanine keeps the space open, while a RAIS Scandinavian wood-burning stove from Bonk & Co is a modern take on an open fire. Poggenpohl kitchens for each of the buildings were sourced and installed by kitchen specialists JS Geddes, with the soft furnishings by Rachel Richmond at Hen & Crask. There’s a blend of bespoke, high-street and artisan elements in each dwelling. Local blacksmith James Boam was drafted in to make breakfast-bar stools, dining tables and benches, each set of which has its own quirks. “We wanted each of the three steadings to feel different,” says Lothian, who project-managed the build. Industrial-style lighting by Cox & Cox and engineered oak Artisan Linen flooring by Kahrs offer a sense of continuity, but each space has its own personality thanks to textiles, accessories and gentle colour, without upstaging the rural location. 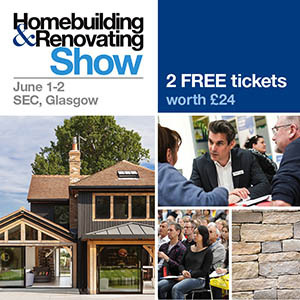 It’s no surprise to hear that this project won the Best Renovation/Conversion category at The Herald Property Awards for Scotland at the end of 2018.